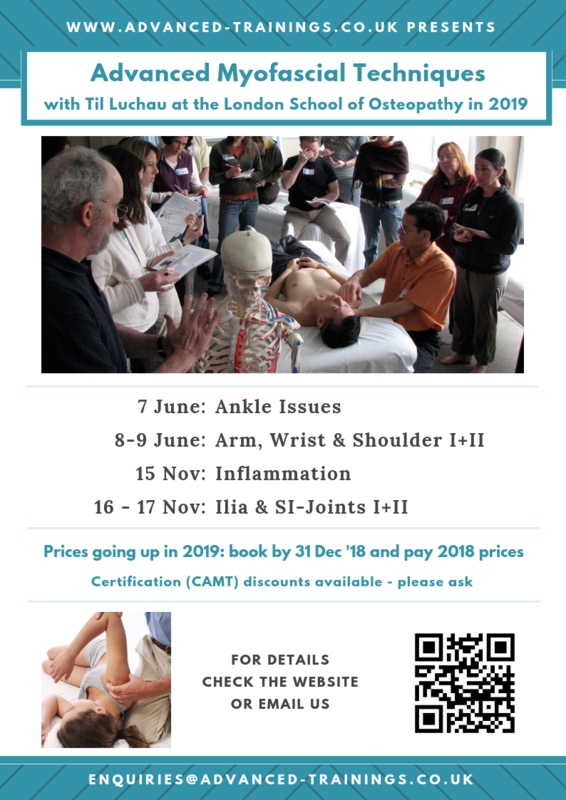 In this 1-day course of the Advanced Myofascial Techniques series, you’ll learn hands-on techniques that will significantly improve your ability to work with ankle injuries, strains and sprains; pronation and supination patterns; movement restrictions; foot and lower leg pain; and more. Suggested preparation: completion of Advanced-Trainings.com's "Leg, Knee, & Foot" course (via seminar or DVD) is recommended (though not required) preparation for this course. Order the DVDs at a discount directly from Advanced-Trainings.com.